People are more health-conscious now than they have ever been. And the Internet is the primary driving force behind most of today’s health-related trends. You can find various web-based companies offering everything from online yoga classes to IoT-connected health monitoring gadgets and of course, smartphone applications. For the average, low to moderate tech-savvy individual, wading through the sea of health-related websites and smartphone applications can be daunting. So, this article should hopefully help get through the gauntlet with some ease. Technology frequently gets a bad reputation for being the root of causing many health-related problems, whether it be physically or psychologically. Many health specialists list smartphones as being one of the most significant reasons why people, especially teens, are not getting enough rest at night. But your smartphone does not have to be one of the sources of poor health. New smartphone applications now exist claiming they help users get a good night’s sleep. Called “sleep tracking apps,” such applications can be found on both Android and iOS. 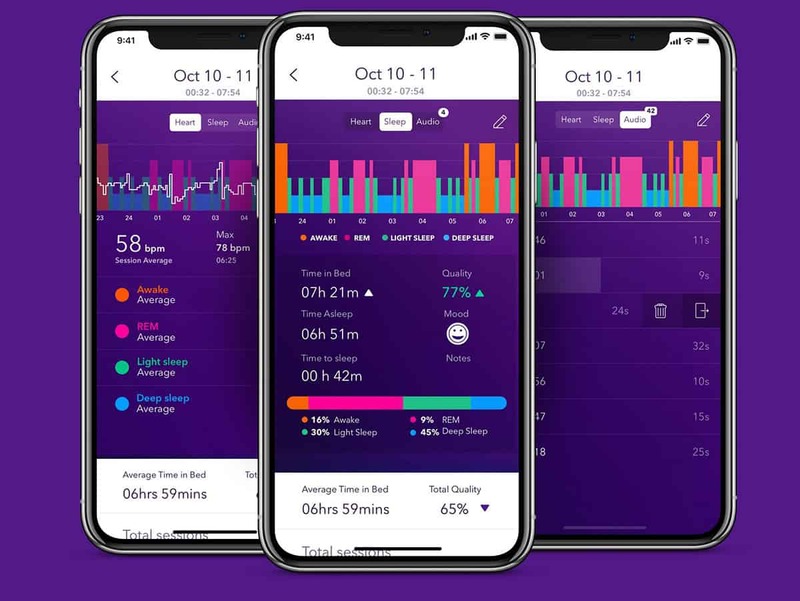 One iOS-exclusive app called “Pillow” employs the iPhone’s “built-in hardware such as your microphone and accelerometer” to take note of your various stages of sleep, including light, deep, and rapid eye movement (REM). For those looking for an app on both Android and iOS, there is Sleep Better. It tracks sleep duration, cycles, as well as which daily activities could be affecting your sleep. We have not yet gotten to a point where technology can scan our bodies and diagnose us like Dr. McCoy’s Tricorder on Star Trek – close but not there yet. So smartphone applications that monitor our health still rely heavily upon direct user interaction. Therefore, an app that tracks your mental health requires that you not be completely insane for it to work. Some noteworthy mental health apps are ones offering to assist users with cognitive behavioral therapy (CBT). This web- and app-based applications also employ the assistance of real-life mental health experts to help its users. For teenagers, there is Code Blue. It helps teens cope with depression or bullying. Teens using the Code Blue app have real support groups and counselors available at a click of a button. Even though babies cannot use smartphones, it does not mean they cannot benefit from health-related mobile applications. Additionally, parents can have some enjoyable activities to do as a family. Take the GoBabyClub app on Android and iOS. It provides users with nearly 250 or so development activities for baby. Some of the categories you will find on the GoBabyClub app include cognitive, sensory, emotional, and motor skills. Each category has functions and features to help parents know where and how to focus on helping their baby achieve their first set of milestones. If you are a parent who is a fan of WebMD, then you should know about the app released for parents with babies. It is called WebMD Baby and is chocked full of valuable health information, tips, and advice for parents with young children. And being that it is a WebMD application, you can trust that you will find pre-approved information from medical experts on the application. If you are an expecting mother, then there is an application called “What to Expect Pregnancy and Baby Tracker” exclusively on iOS devices. As the name suggests, it walks you through each phase of your pregnancy and your baby’s development after birth. It is worth noting that no mobile application replaces real advice from a real physician. If you have a medical or mental health emergency, contact or visit a medical professional right away. What do you think of these health-related smartphone applications? Let us know in the comments below or on Twitter, or Facebook.